Full day Glenorchy - Paradise - Lord of the Rings location tour - all charter based in very comfortable off road vehicles. Being a private charter this tour can focus on what you want, from Lord of the Rings to history, geology, to photography - its your trip, you decide. Our experience in the local film industry, comfortable vehicles, extensive land access and comprehensive local knowledge combine to offer fans of Middle Earth the opportunity to take a memorable journey and to live, breathe and experience the magic of the LOTR locations. This tour includes everything from the half day tour, plus options including staying in Glenorchy for the full day, or back to the Queenstown basin for either scenes on the Arrow River, Kawarau River and The Remarkables Mountains, or a trip into remote Skippers Canyon for a major scene most rings fans miss out on, or a 1.5 hour walk around a beautiful alpine lake. Your trip, you decide. Please note, this tour has very limited off-road driving content. For a 4x4 tour please see our Skippers Canyon tour. Minimum of 2 adults per trip. Morning or afternoon tea, and lunch on full day tours. Pick up available from central Queenstown accommodation. Please dress appropriately, with good footwear and jacket. Accommodation Pick Up Service: We can pickup from most Queenstown, based accommodation on this full day tour. Clients happy to meet in Queenstown central can be picked up from the Station building, Cnr Shotover St and Camp St (Please wait outside by the seating on the Camp St side). Half day Glenorchy - Paradise - Lord of the Rings location tour - all charter based in very comfortable off road vehicles. This is the ultimate high country sheep station tour. This full day adventure travels through to a wonderful, very private, high country sheep station. The rugged wilderness on this farm is simply breath taking, words do not do it justice. With a guaranteed variety of tracks, diverse stunning scenery, local area commentary, gold mining history and memorable experiences, this expedition brings it all together. Pickups from central Queenstown accommodation. Full day tour ex Queenstown featuring 2 historic Central Otago townships and the Kopuwai Conservation Area, a 20,000 ha stretch of land covering the Old Man and Old Woman Ranges, from 800 m above sea level to 1,682 m at the Obelisk/Kopuwai. The ranges are dotted with distinctive schist rock tors and bisected by fields of freeze-thaw hummocks and mounds, creating a wave-like effect across the slopes and basins. With gold mining history, rare flora and fauna, and an exciting range of 4x4 tracks this tour is simply stunning. Central Queenstown, Arrowtown or Cromwell pickups. Accommodation Pick Up Service: We can pickup from most Queenstown, Arrowtown and Cromwell based accommodation on this full day tour. Clients happy to meet in Queenstown central can be picked up from the Station building, Cnr Shotover St and Camp St (Please wait outside by the seating on the Camp St side). 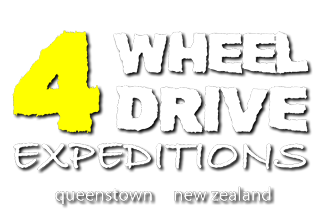 This full day expedition takes us south from Queenstown to the small country town of Garston where we say good bye to sealed roads and head for the hills. With varied terrain including river flats and tussock grasslands in the high country, huge rock tors and the spiked native spear grass plants covering the mountain saddles, this expedition provides an adventurous day out in an area rich with gold mining history. A great day out exploring the remote Nevis Valley for the whole family, this expedition showcases what Central Otago has to offer. Central Queenstown pickups, other pickups by arrangement. Accommodation Pick Up Service: We can pickup from Queenstown, Arrowtown and Kingston based accommodation on this full day tour. Clients happy to meet in Queenstown central can be picked up from the Station building, Cnr Shotover St and Camp St (Please wait outside by the seating on the Camp St side). Clothing and footwear suitable for all conditions. Accommodation Pick Up Service: We can pickup from most Queenstown, Arrowtown, Cromwell and Alexandra based accommodation on this full day tour. Clients happy to meet in Queenstown central can be picked up from the Station building, Cnr Shotover St and Camp St (Please wait outside by the seating on the Camp St side). This full day expedition provides an wonderful opportunity to explore the stunning Criffel and Pisa Mountain Ranges. This mountain range lies between the Cardrona Valley and Lake Dunstan. Attaining 1963m at Mt Pisa the views are a 360 degree smorgasbord. With Lakes Wanaka, Hawea and Dunstan in sight, as well as Central Otago and the Dunstan and Hawkdun Ranges this tour provides amazing 4WD fun with incredible views. Accommodation Pick Up Service: We can pickup from most Queenstown, Frankton and Arrowtown based accommodation on this full day tour. Clients happy to meet in Queenstown central can be picked up from the Station building, Cnr Shotover St and Camp St (Please wait outside by the seating on the Camp St side). Join Queenstown's most experienced 4x4 guide with a private charter tour exploring the stunning Skippers Canyon. Full commentary and interpretation at each stop in comfortable four wheel drive vehicles. From Coronet Peak to the mighty Shotover River, we journey along the infamous 1889 road following the trail of the 1860s gold rush. This tour has huge vistas of our southern high country, with incredible sights and photo opportunities. 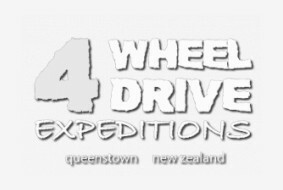 Your local kiwi guide Del, has nearly 30 years commercial 4 wheel drive experience in Skippers Canyon, guiding literally thousands of tourists into Skippers since 1990. His knowledge and experience on the road conditions, history and region make this a truly remarkable adventure into the Queenstown high country.